In November of 2005, Haematologists in Abu Dhabi decided to meet regularly for professional and social interaction as the “Abu Dhabi Haematology Group”, which was hosted in different centres. The meetings were so successful that in 2006, Haematologists from the other Emirates were invited to attend. The group was renamed “The Emirates Haematology Group” and meetings were also held in other Emirates. In July of 2009, this group was recognized by the Emirates Medical Association as the Haematology Section of the EMA, and became known as “The Emirates Society of Haematology”. There are now approximately 90 members and associate members from all fields of Haematology. 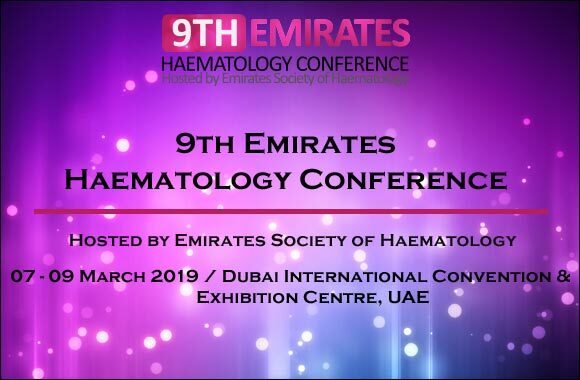 The Society works to foster the specialty of Haematology in the UAE and form links with colleagues in the UAE, regional countries, and the international Haematology community. The attention is focused on improvement in quality of care for patients suffering from conditions prevalent throughout the UAE. Regular meetings of the society are held in different locations to provide a regular forum for professional interchange amongst all medically qualified practitioners who are trainees or specialists in Haematology. The Society strives to create and develop continuing medical education opportunities in order to determine its members training needs and aims to introduce structured postgraduate education in the field of Haematology. The society is proud to have achieved, over a short period of time, a large number of educational activities, having initiated the haemophilia support group as well as having initiated annual conferences by holding the landmark, First Emirates Haematology Conference in 2011 as well as the second, third, fourth, fifth, Sixth, seventh and eighth editions in 2012, 2013, 2014, 2015, 2016, 2017 and 2018.